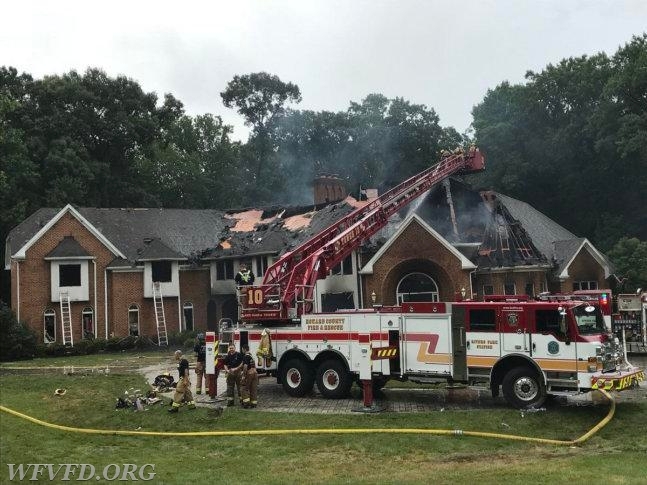 Firefighters responded early this morning for the report of smoke inside a home due to a lightning strike. At 01:51 units from the Fifth District VFD and Rivers Park (Station 10) were alerted to 7005 Woodscape Drive in Clarksville. Upon arrival units found a single family home with smoke showing and requested the full box assignment, bringing Tower 3 to the scene. During the early stages of the incident, a firefighter assigned to Engine 101, Nathan Flynn, fell through the floor and had to be rescued by firefighters assigned to RIT. He was transported to Howard County General Hospital where he was pronounced dead. The fire ultimately went to 7 alarms with units not clearing the scene until Monday afternoon. Investigators from the HCDFRS Office of the Fire Marshal and the Maryland State Fire Marshal remain on scene. 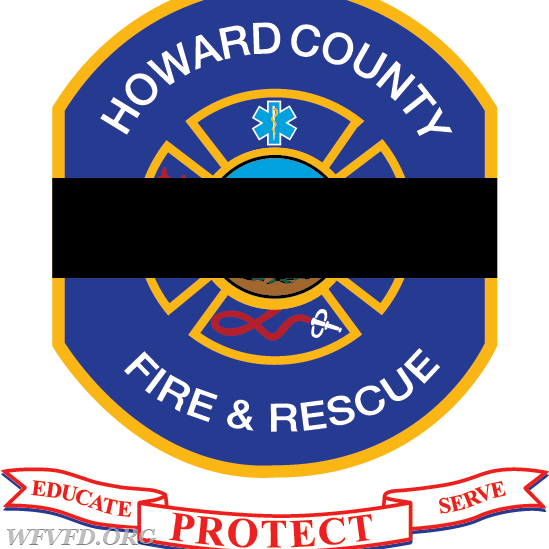 FF Flynn was a 13 year veteran of the Howard County Department of Fire and Rescue Services as well as a volunteer firefighter at the Susquehanna Hose Company in Havre de Grace in Harford County, MD. Our deepest condolences go out to FF Flynn's family and loved ones.